Less than a month April 1, the required amount for the start of production has been collected, and to the final amount of the fee is $ 76 240 dollars. The company participated in 1171 a person. In principle, for the start of sales it was enough to raise $ 25,000, but with an increase in the budget were announced additional bonuses in the form of the release of lamps for different sockets. In addition to the widely used E26 and E27, on reaching the threshold of $ 37,000 added base E14 (a very popular format among small bedside and table lamps), and to achieve iporoga $ 50,000 added a little more specific and compact E12. In principle, the winning option turned E14 format with a small adapter for E27. 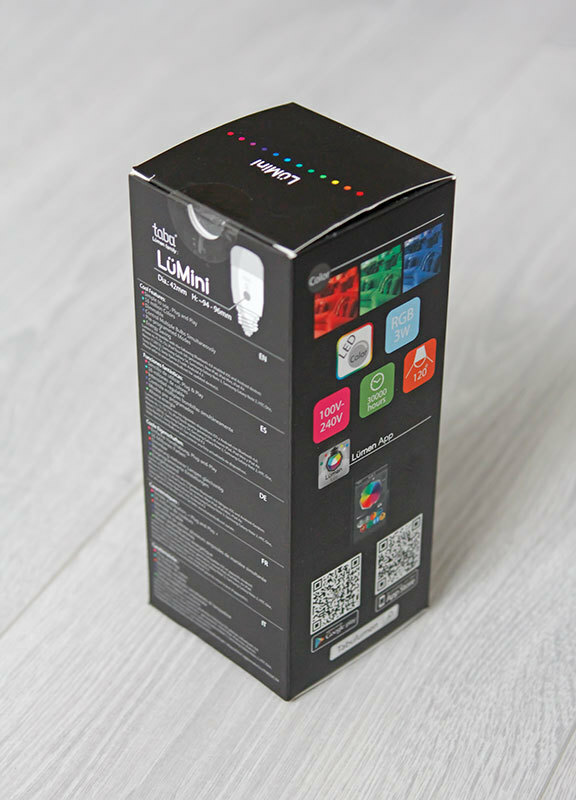 Here is the packaging of the lamp. Very decent view. Cardboard some very tight, and inside the foundation on which rests lamp is made of cardboard like wood. 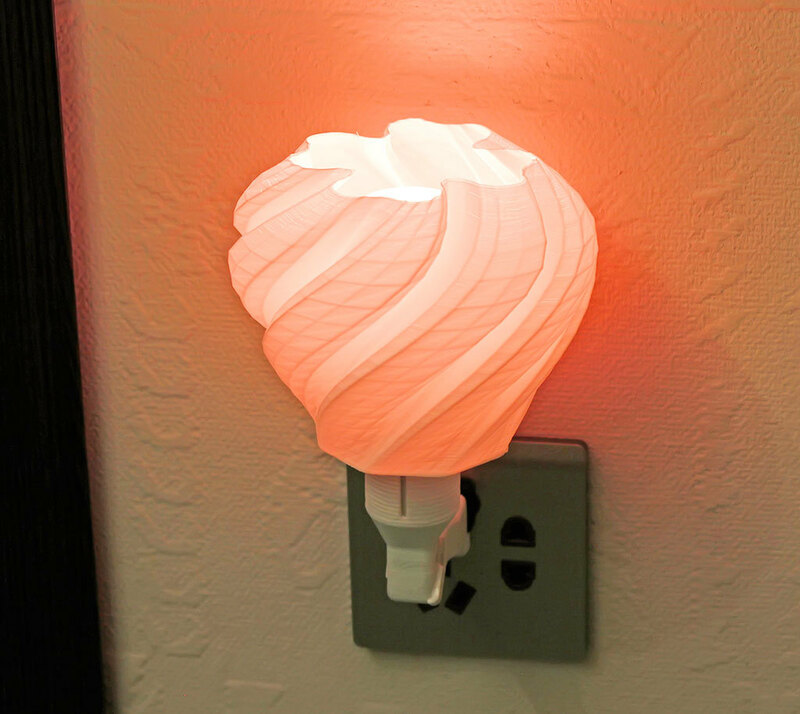 So the inner holder keeps the lamp very well, in the middle, not letting it lean against the walls of the package. This is true for transportation, especially since the body in ceramic lamps. Yes, yes, no cheap plastic painted silverfish under the aluminum, ceramics true only. Together with the lamp inside the package is a transitional instruction and plinth chambered E27. That's basically all the equipment. For the initial tests I have a piece of the old lamp, there is just socket E14, so it will check all the modes of the lamp. 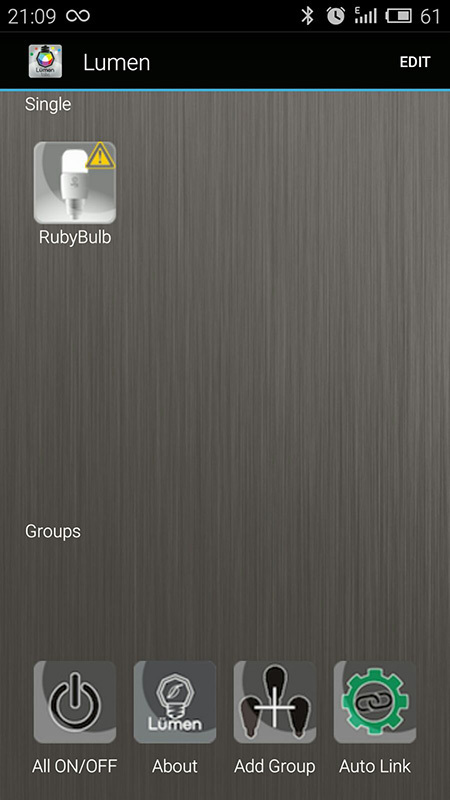 Install the application on the QR-code with your smartphone package and turn the bulb to the network. After turning the lamp comes in white (well, this is according to the instructions he is white), in fact it is slightly bluish. The fact that the white light diodes have coldish shade 3500K. I would honestly made at least a little warmer shade of the first inclusion, yet it would have been nicer, and the ability to manage color is. Well, this particular. 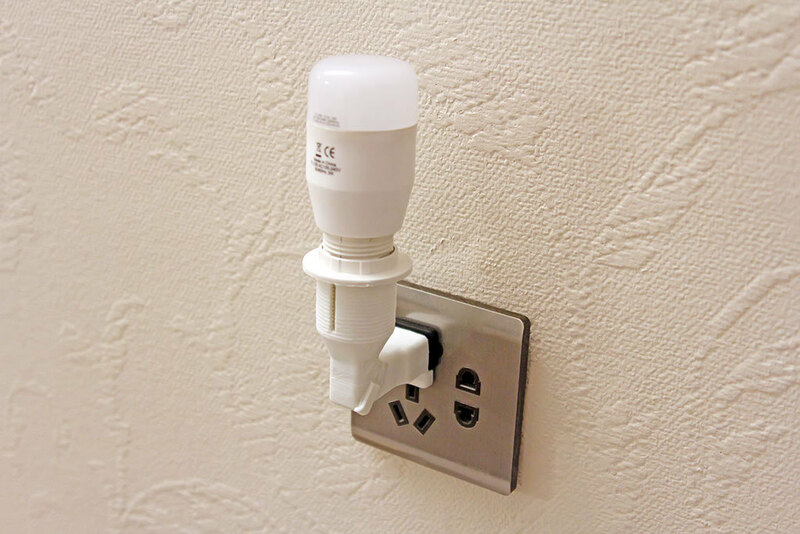 As promised manufacturer, this lamp stands out from the likes of the fact that it is not necessary to hook the special hub that is connected to a WiFi network. It was developed in 2014, remember? Now this is no surprise, the Chinese have already put on the technology stream, and every second lamp is able to cling to a Bluetooth phone. Although so far the number of lamps with IR remotes still high. Download from the Play-Market or Apple-store the required application - «Tabulumen» and install it on your smartphone. 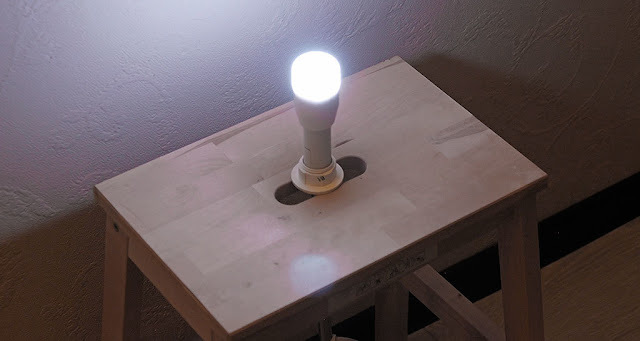 Then connect the lamp via Bluetooth and it appears in the list of the lamps in the annex - it's simple. All intuitive. Than you press on the colored circle on the color you want - just change the light color backlight. Under the terms of the brightness slider is located in the brightest color position is not so rich, but shine brighter. In the minimum position of the colors more juicy, but the brightness of the lamp is only suitable for backlighting. 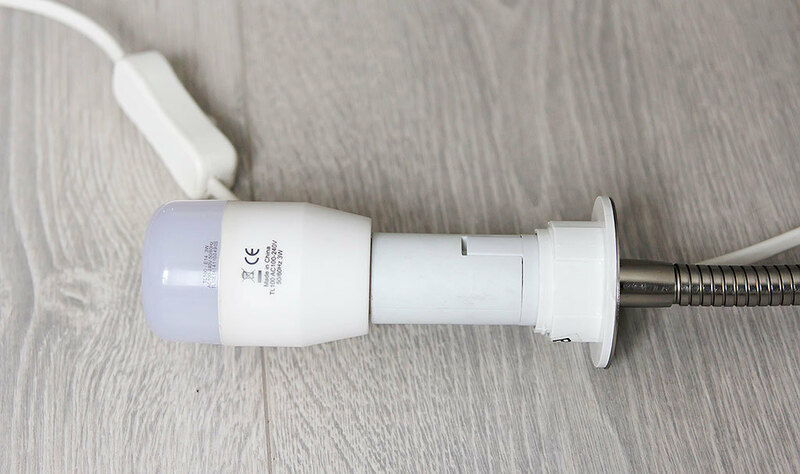 One of the possible applications - a background light for photographers, although it is possible 3W LED is not enough and you need a couple or so of these lamps, but in the background is no longer necessary to spend money, and they are now oh so expensive. One background, such as the cost of 4 such lamps. By the way, I read that this lamp from a subsidiary company Xiaomi - yeelight blue makes it a delay, everything is instantaneous. In general yeelight blue is very similar to this lamp, except that the body is not a ceramic and aluminum, all other lines exact copy. I do not be surprised to learn that the project was transformed into Yeelight. 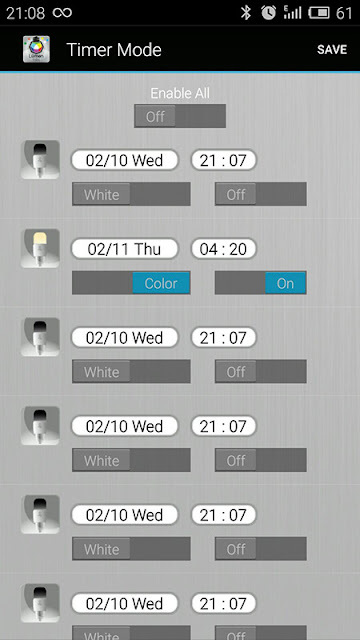 In fairness, I note that I have tried the app on yeelight in the hope that it will approach, yet there is more modern design, but alas, it did not see the lamp. The application also know how to manage a group of lamps, is a plus. On page Kick the manufacturer just used a lamp with six such lamps on the lamp. In the beginning I was very strained, that when you exit the application says that the connection was broken, and at the entrance can be seen that the lamp is not connected, and you need to press the tap the lamp so that it was connected. I twas thinking where no connection with the lamp, and no such notification call will not work. 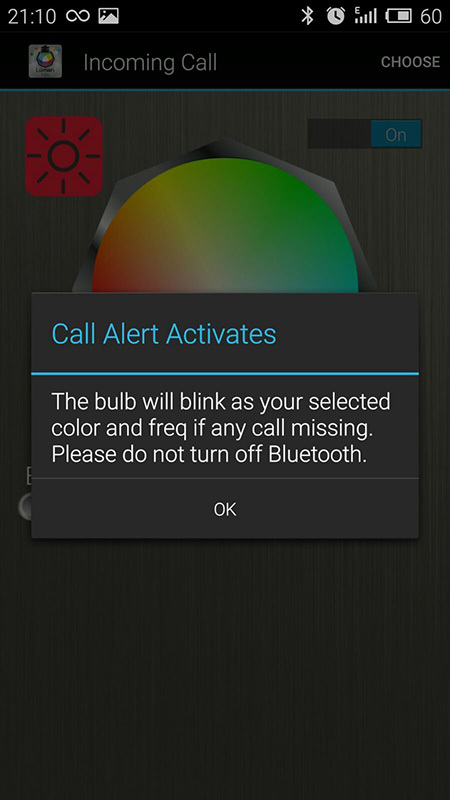 But, despite this strange behavior, lamp perfectly notifies the call and the fact that you have a missed call. 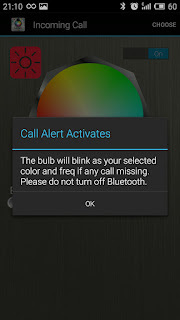 Notification of an incoming call available set up in the appropriate menu, you can set a specific color and blink rate. 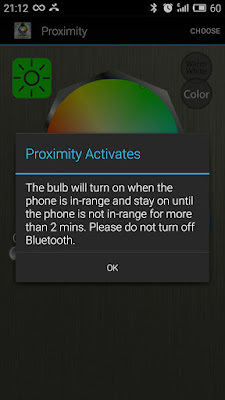 LuMini can greet you by flashing when your phone will be not very important for me lamp network, I rarely go to the Bluetooth enabled permanently. 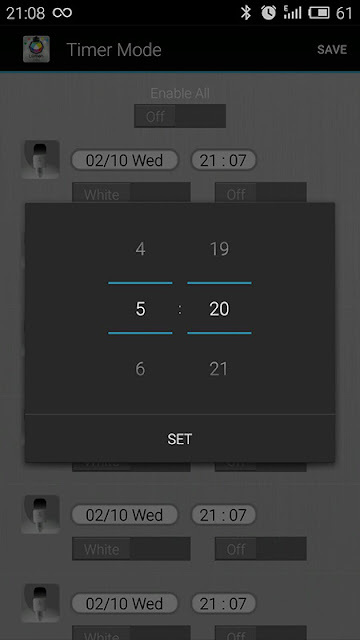 Choose music track in Annex lamps and lamp adjusts to your track. Play comes with the phone. If you are using a smartphone from Apple is very convenient to use Airplay and then send the sound to external speakers. Get a full party. In this mode, the lamp flickers just like a rainbow with a certain interval. 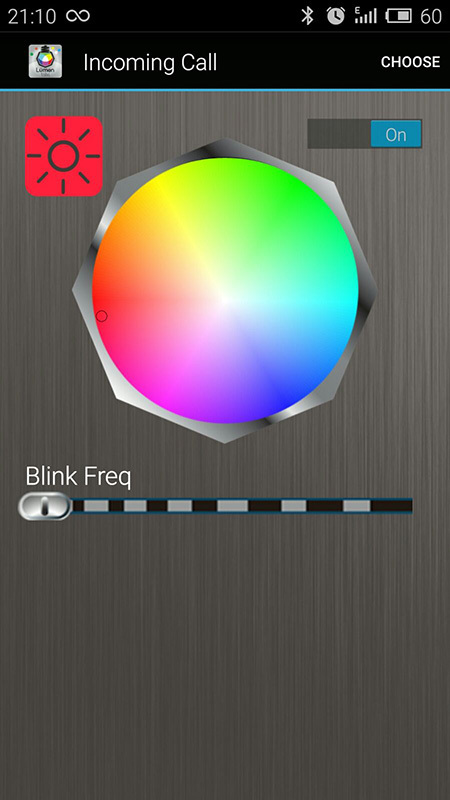 Please turn on for one full color, then it goes smoothly and the following. 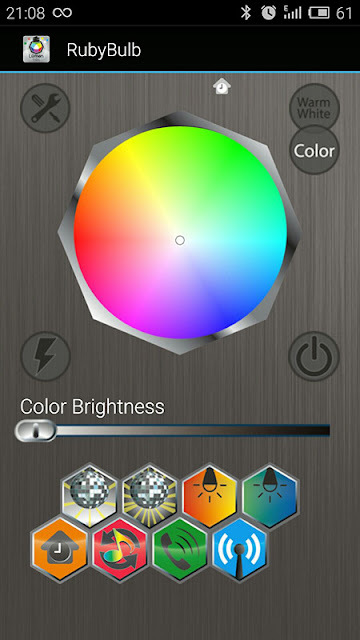 In this mode, the lights turn replaced by different colors in warm shades of red, orange, yellow, pink, etc. Under such a nice soft lighting will be time for a romantic dinner, the lamp will work almost as a fireplace, pleasant lighting space. A similar mode, but the lighting in cold tones. By the way in the blue light is, people to eating wants less. Therefore, a romantic dinner is not suitable. But to fall asleep under a light like is good. Light simulates the blue sunset light. Although it's did not change so slowly as the sun sets, and who then turns off the lamp, if you sleep under it? If we are talking about a dream, it is worth mentioning the alarm mode. Perhaps you have already read about smart lighting alarm? TabuLumi lamp can work on a schedule, and switched on an alarm clock at a preset time. 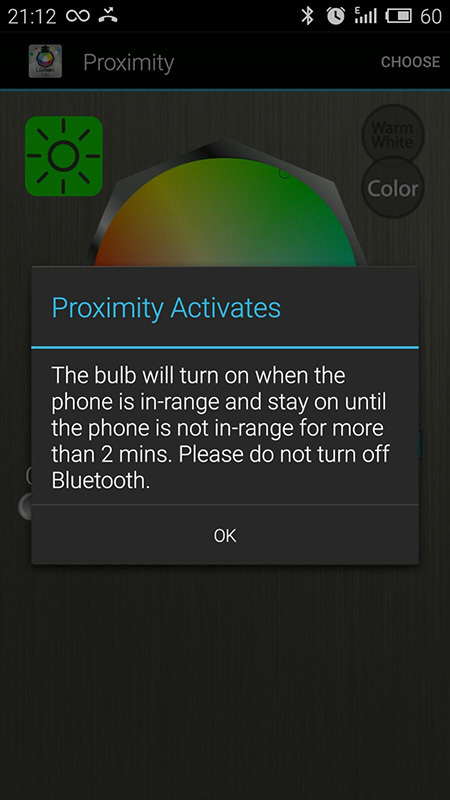 This function is independent from the phone and works even when turned off Bluetooth. Inclusion is not just at full capacity but gradually, as in intelligent luminaire. The truth is the first 2-level somehow still not smoothly incorporated. But the more I counted more than 20 degrees. Increasing lighting level occurs about once per second or a little more. You can specify or include white or color. Who likes to wake up by the purple? 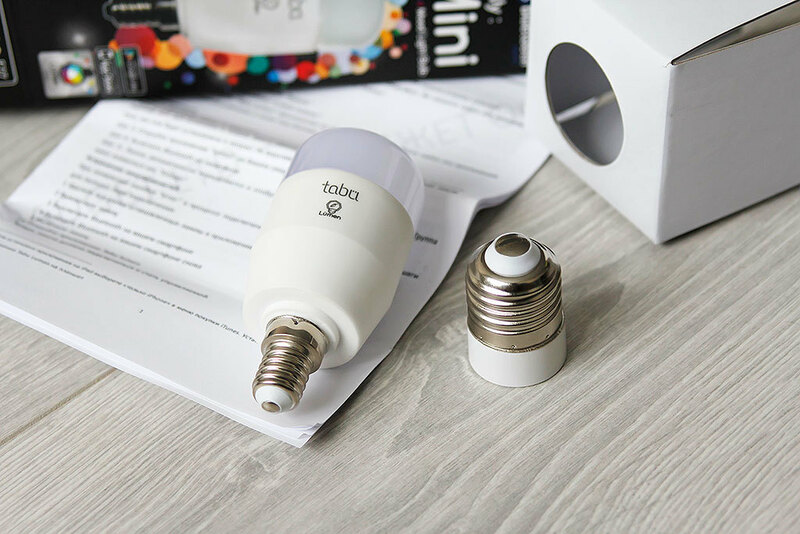 In alarm mode, the lamp shines about 30 or 40 minutes, has caught more precisely that moment, then it is switched off - convenient, you can not think about it and do not include the application once again in the morning when going to work. But minus - is the fact that you can not set an alarm in the days of the week, for some reason, be sure to choose a date and no more than 7 days. A strange decision, to be honest. Well, there is still a special mode for friends - such as color strobe. In this mode, the lamp blinks brightly rainbow colors conquering your friends and turning them slowly into your slaves, the most effective mode. 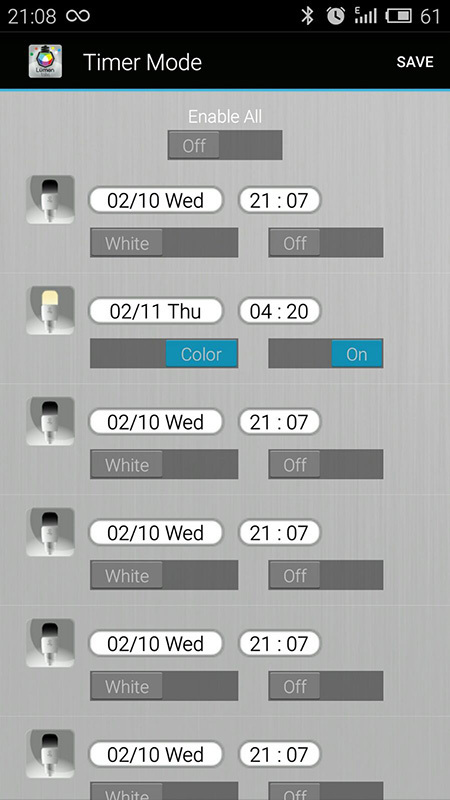 On the downside, lamps is the fact, works in the Bluetooth 4.0 standard, not lower. Although in practice this check I have not left, in the house was not just smartphones with old ones. So I like and minus but not for all. About the price will not talk, there's everyone decides for himself, it is worth it or not. 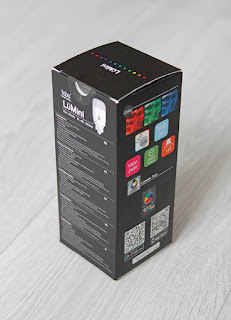 I have a couple of years ago, everyone looked toward the Philips lamp, but the price bites, even to the same they like and do not work directly with smartphones. As a result, I did not take any. 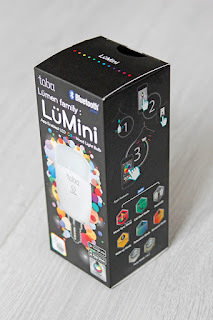 At that time, I think Lumini would be a worthy competitor, but my eyes are not caught. Thanks dadzhet now gave me the opportunity to test it. All functions with a test cartridge considered, now go to "deliceous". At home I have, in principle, all the sockets for the lamp is not quite standard. Most Gu10, and there are even more specific. To tell the truth, and a socket is not like everywhere - universal. 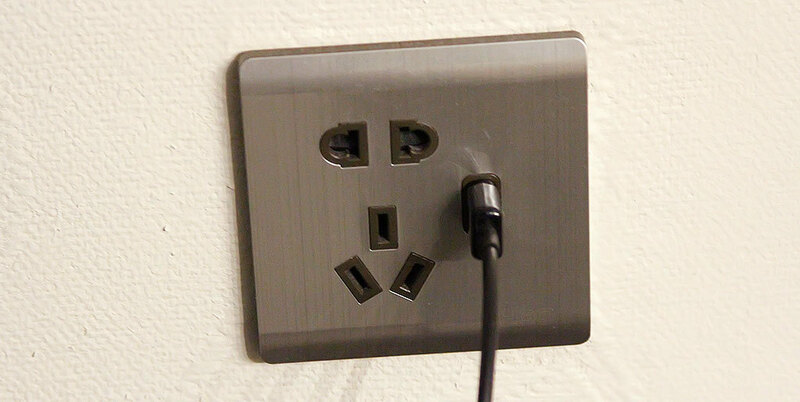 When I ordered them thought, why not take the universal sockets? 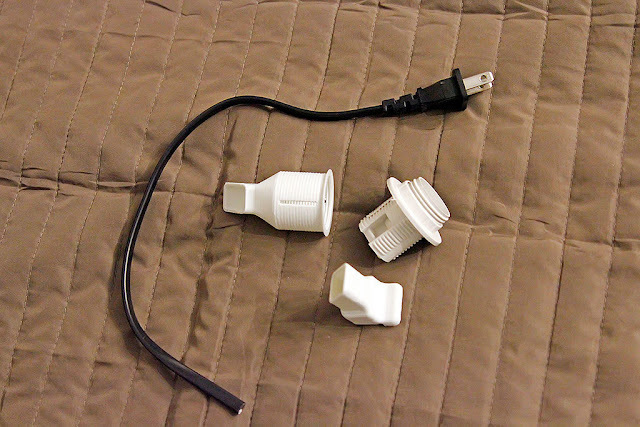 I often order a different gadgets with Aliexspress and e-Bay, and there are often send with flat plug and adapter. With an adapter, I really do not like forks and flat often give bonuses, and they are more compact. 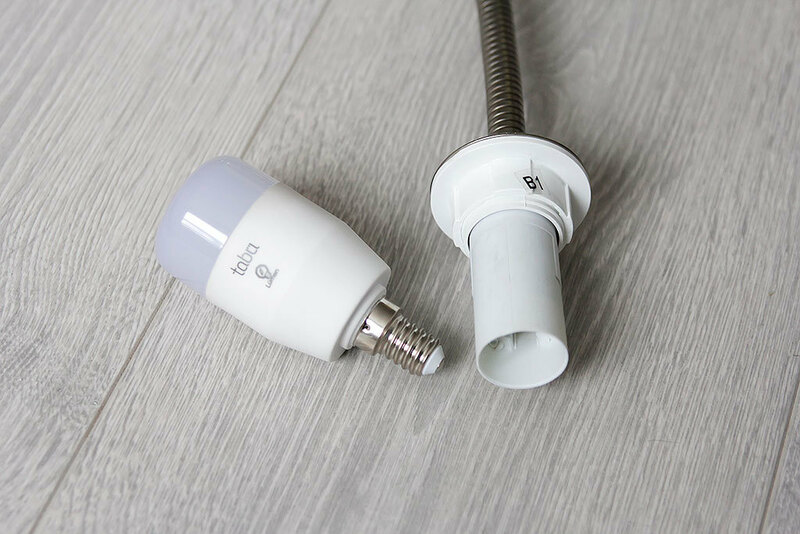 In general, with such outlets, but the lack of cartridges, you can finally realize the old idea of ​​a compact luminaire for night lighter type that stuck straight into the socket. Resolved. An hour on the simulation, a couple of hours to print and we have a ready-made housing for this lamp. Ready intelligent luminaire. It remains to choose the shade of ready-to Thingiverse and print it on the 3 printer. 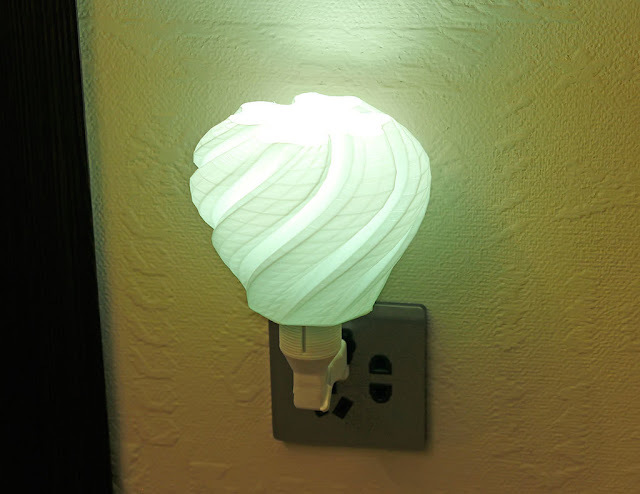 Three and a half hours of time for printing and the lamp becomes a finished look. For those who have access to the 3D-printing is a link to the holder model, though it is designed for Chinese end plug with flat contacts: Reference model. LuMini lamp can be purchased in the store of dadzhet here.